1. In a large mixing bowl, combine the lukewarm milk, yeast and sugar. Let sit for about 10 minutes. Add half of the flour and salt, knead until well combined. Add 1 more cup of the flour and knead until a soft dough forms. Add gradually the remaining flour. Knead until the dough pulls away from the sides of the bowl. 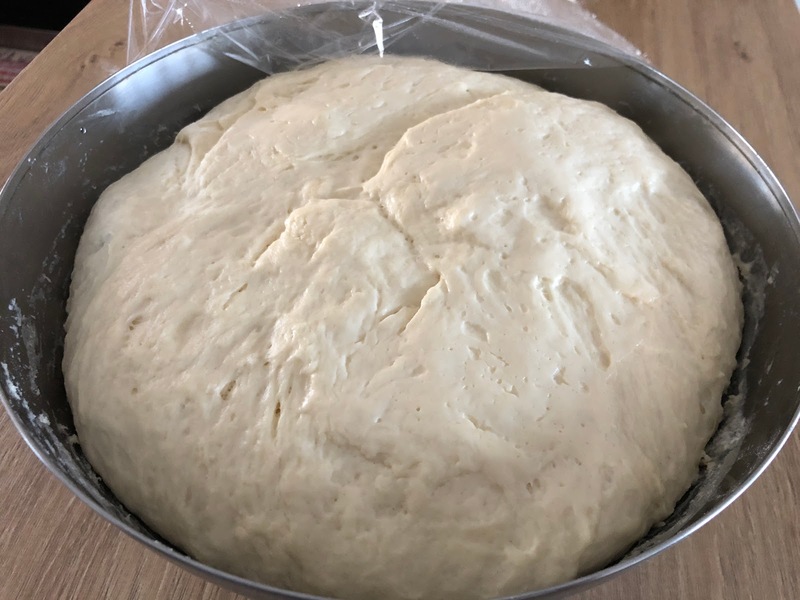 The dough will be soft to the touch. Add the oil and knead the dough for about 6-10 minutes more. 2. Cover the ball of dough with parchment paper and kitchen towel. Allow to rise for about 6o minutes or until doubled in size. 3. Divide dough into 5-7 pieces (about 100 - 110 g each). Form each piece into a tight ball. 4. Work with one piece at a time on a floured surface. With a rolling pin roll the dough from the center out. Turning the disc as you work. 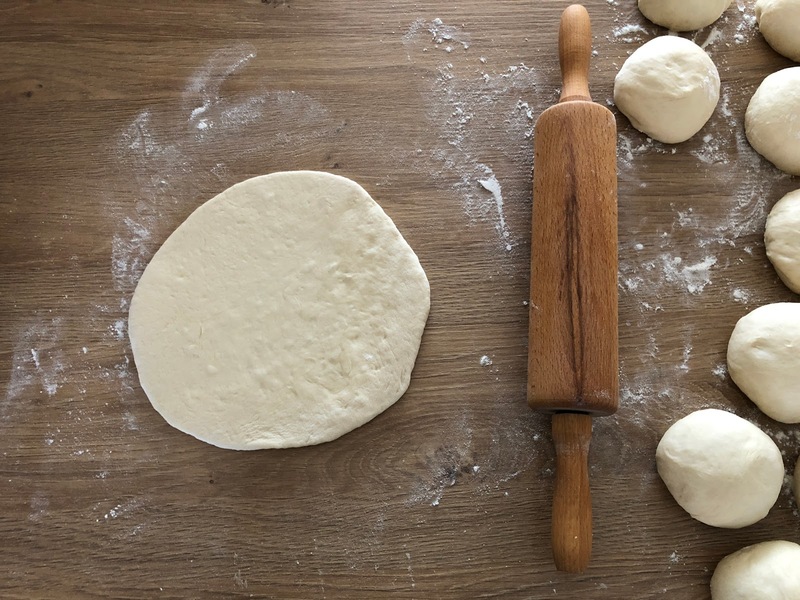 Roll the dough out to about 1/8-inch thick into a 6-inch circle. Cover with a cloth as you work with another. 5. Cover the flatbreads with kitchen towel. Allow to rise for about 20 to 30 minutes. 6. Heat a skillet to medium heat. 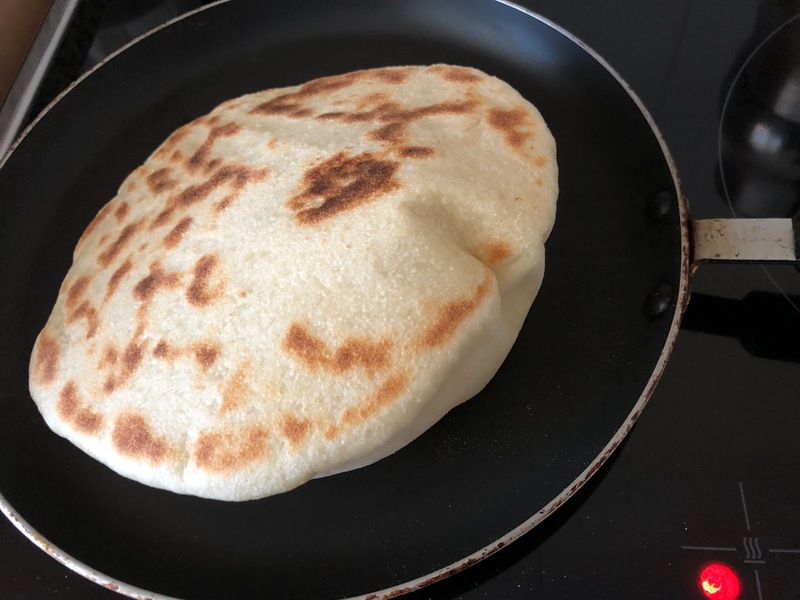 When the skillet is hot, cook the flatbread for 2-3 minutes on the first side until it bubbles and puffs. Flip it over with tongs or spatula and cook on the second side until it is golden and spotty brown. Make sure the skillet is hot! If the bread cooks too long it won't bend and can turn out dry. The right amount of heat is 2-3 minutes per side. 7. 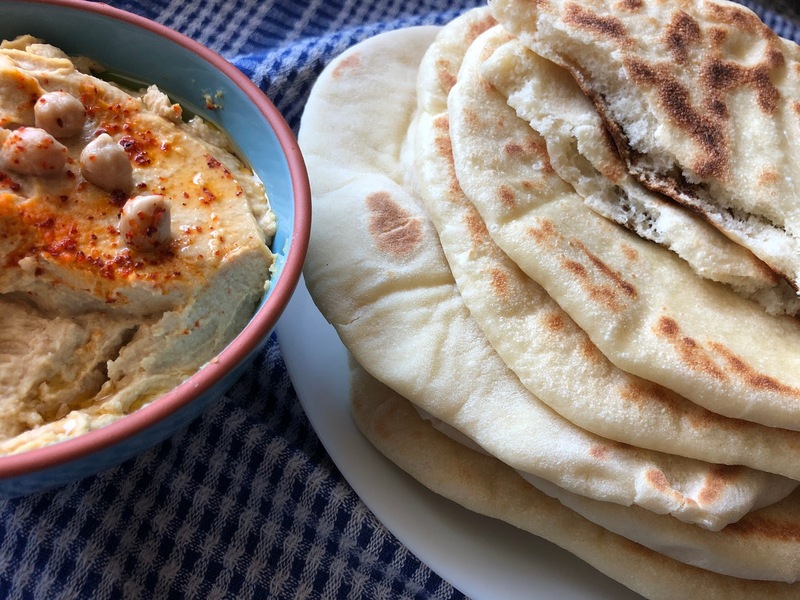 Transfer the flatbread to a plate and cover it with a towel. Repeat with the remaining dough. 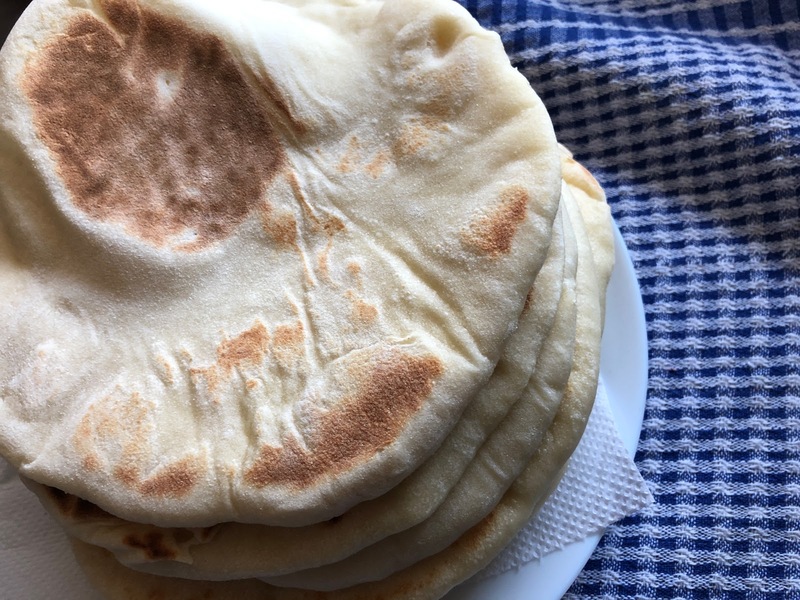 *The flatbread can be frozen with excellent results. We let it cool and wrap each flatbread with plastic wrap.